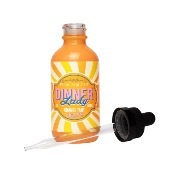 Blackberry Crumble eliquid By Dinner Lady Salt Nicotine is a sweet pastry blend. A rich crumble flavour comes through straight away with a layered taste and sugary notes. 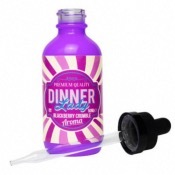 On exhale, a juicy blackberry creates a fruity finish that complements the pastry. Salt nicotine eliquid creates a smoother throat hit compared to freebase nicotine despite the high nicotine content.